Unfortunately there is no clear change point. 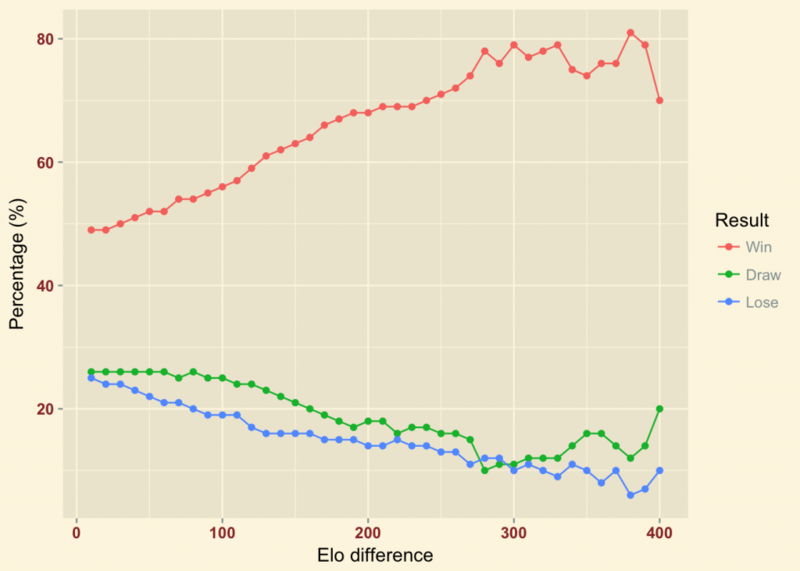 The frequency of draws stays more or less constant until an Elo difference of 100 points, while the probabilities of a win start to change around an Elo difference of 50. Since this last observation matches with our first intuition, let us take 50 Elo points as threshold. This might not be very scientific but will work for the moment. Let us see what the typical results are when two equally strong teams are playing against each other. This is somehow surprising; the slightly weaker team seems to have an advantage here! 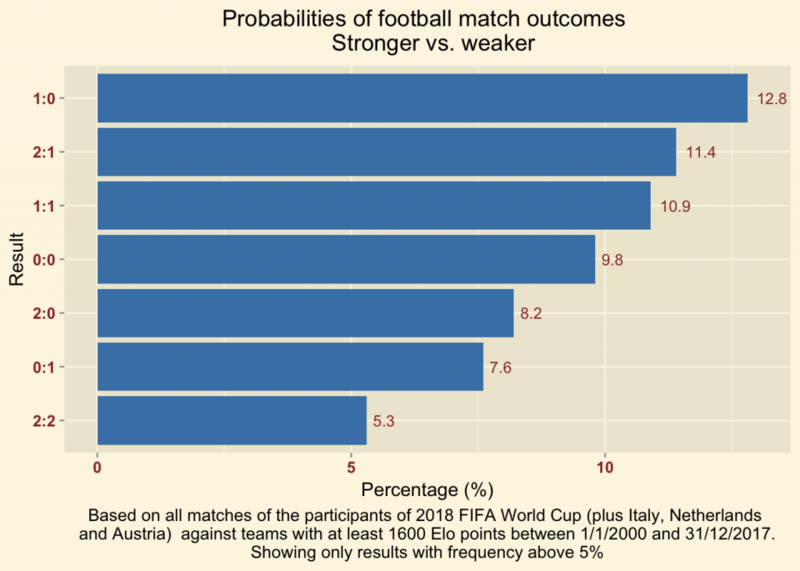 Let us check out the probabilities of win, draw, lose. 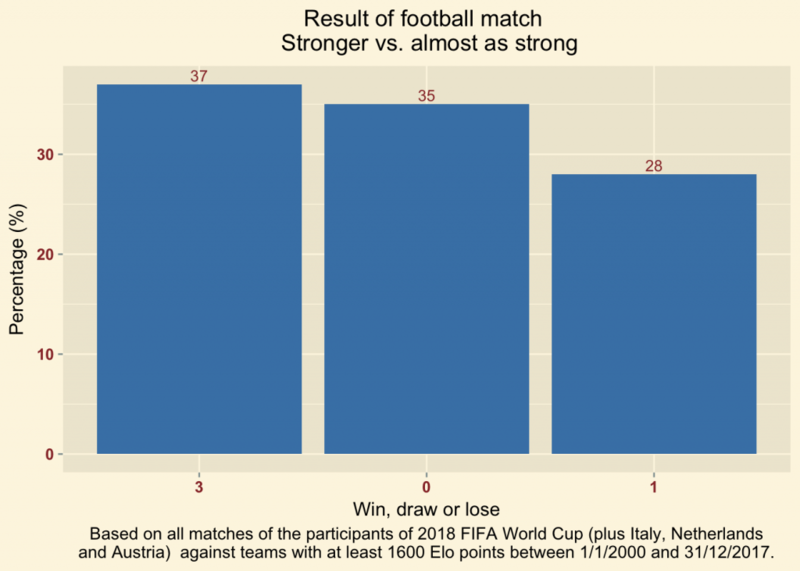 The stronger team has still a higher chance to win, even though the most likely outcomes are 1:1 and 0:1. This is somehow expected. 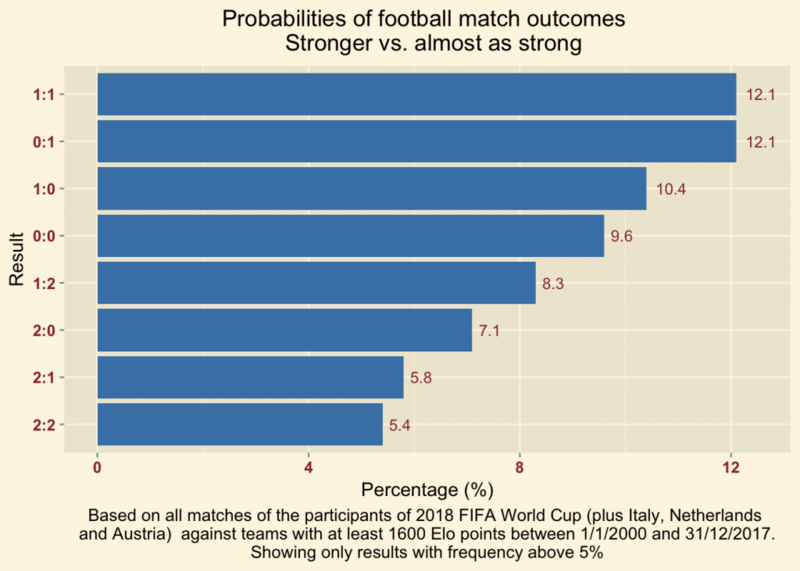 Let us check out the probabilities of win, draw, lose. 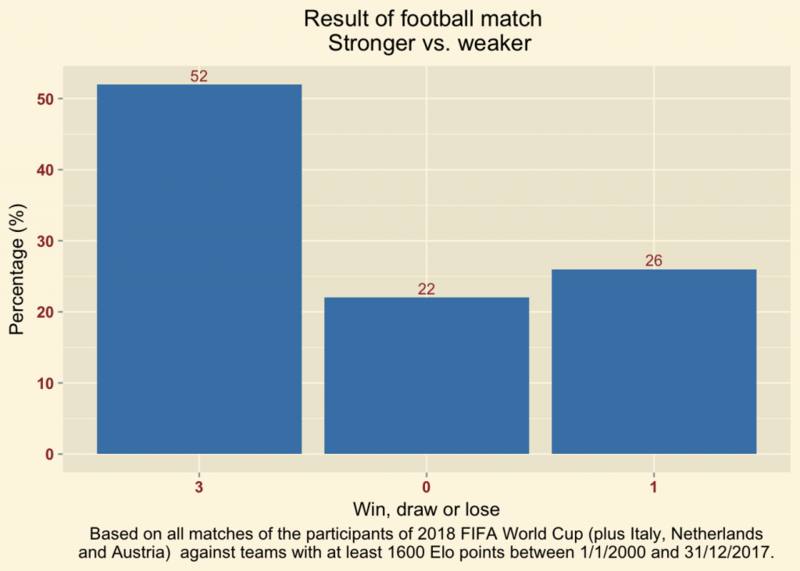 While the stronger team wins every second game, the weaker still wins in every fourth game. Is this the reason why football is such a succesful sport? Previous Post What are typical football results?